Delegates from the local business community attended the inaugural Project SEARCH: Meet the Interns event at the University of Aberdeen this week. This event marked the launch of the second year of Project SEARCH in Aberdeen. Human intelligence is thought to improve with each generation and a unique study of people born and raised in Aberdeen has proved that those in north-east Scotland are getting smarter. A team of University of Aberdeen students will take on rivals from four continents in the prestigious international Real Estate competition hosted by Ivy League University, Cornell, New York. People with lung disease are required by researchers at the University of Aberdeen and Aberdeen Royal Infirmary to help with a £2 million UK wide study to see if an old drug can help a relatively new drug work better as a treatment for a common lung condition. Two of Scotland's biggest university rugby teams will go head-to-head in a match guaranteed to have a 'one-off' atmosphere, with all proceeds going to charity. A European-wide science writing competition is looking for the brightest sparks in Europe to write about the bioeconomy in 1500 words or less. Six University of Aberdeen students will head to Boston on Wednesday to a major international science competition to showcase a new diagnostic tool they have created. The two nominations for the historic post of Rector of the University of Aberdeen have been revealed. The way continents are formed can be far more complicated than previously understood, according to researchers at the University of Aberdeen. The University of Aberdeen will host a conference in Christian Ethics featuring world-renowned theologians and ethicists this week. A music festival co-founded by the University of Aberdeen's Head of Music, Professor Pete Stollery, is celebrating its 10th anniversary. Delays between a patient presenting with symptoms of colorectal cancer to their GP and receiving treatment may have no impact on survival rates, according to a study by academics at the University of Aberdeen. Non-smokers who live in a house with smokers are exposed to three times the officially recommend safe levels of damaging air particles, according to a study published online in the journal Tobacco Control. A change is as good as a rest, but researchers from the Scottish Carbon Capture & Storage (SCCS) partnership were kept busy when their bi-monthly networking event recently relocated to the University of Aberdeen for the first time. New research from the Royal Pharmaceutical Society (RPS) shows that common ailments such as coughs and sore throats cost the NHS an extra £1.1 billion a year when patients are treated at A&E or GP surgeries rather than at community pharmacies. Food sustainability and the importance of nature and creativity in Aberdeen are just some of the topics that will be highlighted at the next PechaKucha Night. 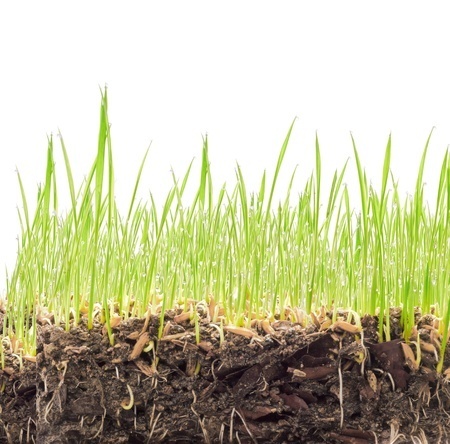 A University of Aberdeen led consortium has received £1.4 million in new funding to explore how plants manipulate soils to extract more water and nutrients, it has been announced today (Monday October 13). A leading historian and an award-winning screenwriter will join forces to discuss the challenges of dramatising history at a free public event in Aberdeen. Professor David Heald from the University of Aberdeen's Business School has a new book published today; When the Party's Over: The Politics of Fiscal Squeeze in Perspective. Melanoma sufferers who receive their first treatment from a GP are no worse off than patients referred directly to hospital, according award-winning research from the University of Aberdeen. A team of dolphin experts from Scotland have shed new light on the effect of marine tourism on the behaviour of dolphins. The second series of the increasingly popular Café Scientifique in Inverness draws to a close with an informal talk outlining how illness in childhood may affect health and mortality in adulthood. On Friday October 3 the University of Aberdeen's Centre for Sustainable International Development learned that the Executive Committee of the Sustainable Development Solutions Network (SDSN) "has enthusiastically approved its Membership in the Solutions Network." Scotland and Ethiopia may be separated by over 6000 kilometres and by differences in such matters as geography and income, but they share a common goal - investing in medical education. A PhD student from the School of Engineering has won a prize at a prestigious academic conference. Scottish Rugby this week unveiled the first of at least four BT Sport Academies that will be opened around the country to nurture the best young Scottish talent to become the stars of tomorrow. Diabetic retinopathy - a common complication of diabetes which occurs when high blood sugar levels damage the cells at the back of the eye - is the biggest cause of blindness in the working population globally. Following-on from success in the QS rankings published in mid-September, The University of Aberdeen has risen 10 places in The Times Higher Education World University Rankings published yesterday evening (October 1). The physical challenges associated with recovery from a stroke are well documented however the impact of a stroke on emotion is less well understood. Advances in forensic medicine have changed the face of criminal justice and this journey will be under the spotlight at a free public event on Thursday.